Incredible marquetry geometric pattern top in shades of honeyed wood. 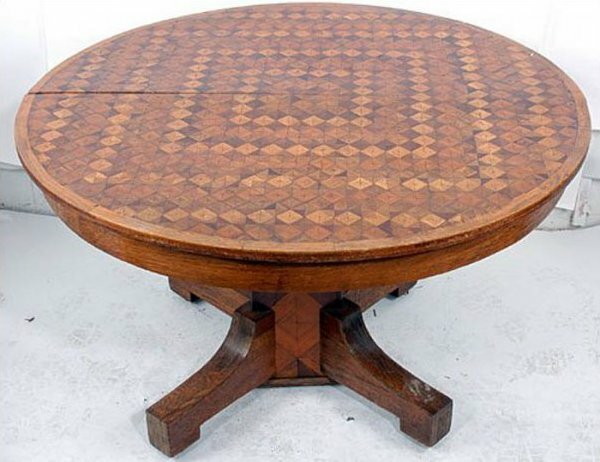 Like a round oak table from the turn of the century only much better because the top is a tour de force of small scale piecing in a triangles and cubes pattern. The base is a pieced folky center column. Don't know who made it, but he worked on it a very long time to achieve the intricacy and precision of the top. Comes apart for easy transport.